That paintbox fabric has been hanging around and I have not used it to make the set of sewing items for my mom as intended. I dug some out and made her a bag to replace one I made her several years ago that is becoming threadbare and dirty. 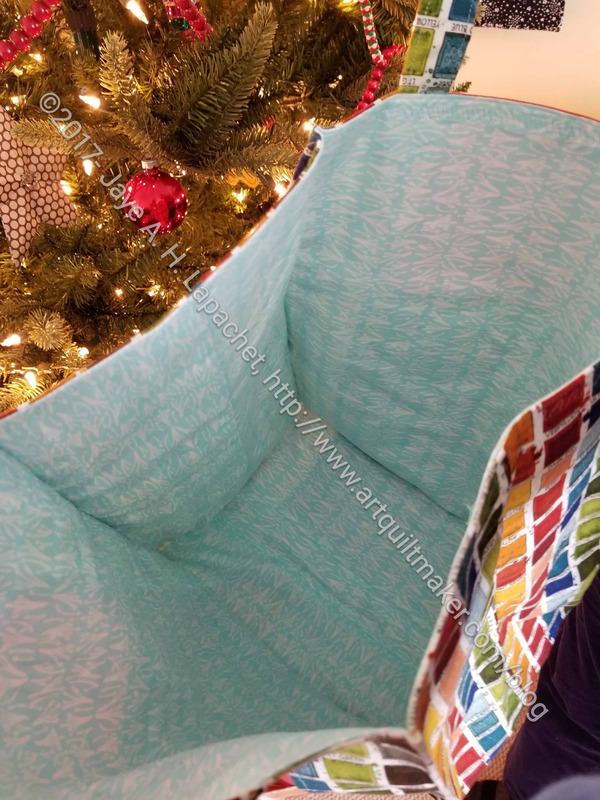 I used the Jane Market Tote pattern, but added some extra pintucking and interfacing. I like the way it turned out. It has some body, but can still be rolled up. Fortunately, it was just what mom wanted. 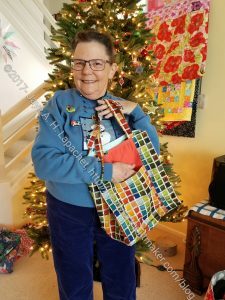 She had been reading the blog and was feeling sorry that I wasn’t making her a bag after reading about Mary’s bag and the bags I made on the quilt retreat. The design of the bag makes a smallish shopping tote. I had forgotten the size. 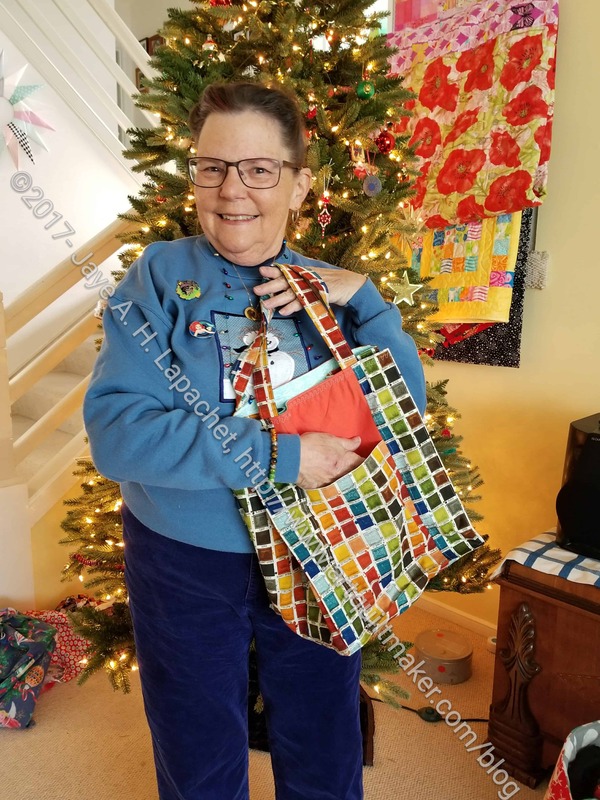 It seemed to work for her and the bag really goes together well after getting all the pieces cut. 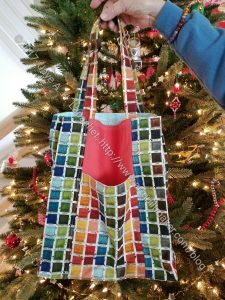 Mom recognized right away that it was the same fabric as her Sew Together Bag, which I made last year. 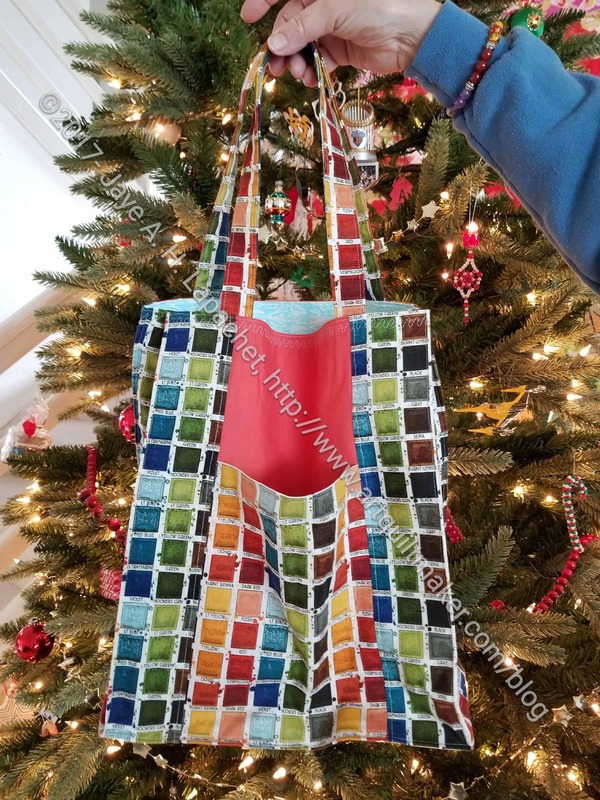 I realized that I had forgotten to sew up the turning hole when I started to photograph the bag. I had to do that on Christmas Day before we went off to our further celebrations. There are worse ways to spend a holiday than by sewing.